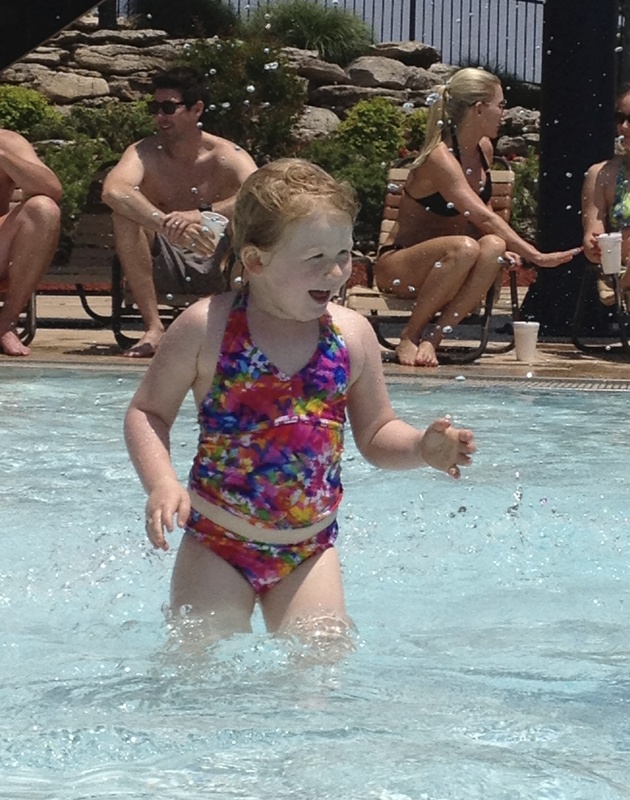 Not much is more exciting than the first trip to the pool in the summer! My friend in Montana is still battling snow and in Oklahoma we’re sunbathing. Like everything else, your excitement varies along with your age. Watching the pure joy in my 3 1/2 year old granddaughter’s face was priceless. The older kids are a little more blasé, especially the ones who have their own pool at home, but they still look forward to it. For the moms and dads, it’s a signal for a break from the school year routine, a break before the new summer routine. For grandparents, it’s just pure fun to watch your kids and grandkids enjoy fun in the sun together, whether it’s the pool, the lake, the ocean. Of course, there’s the flood of memories that come with age…mental pictures of yourself as a child, your own children splashing in the water, the cries of “Mommy, Mommy, watch me,” repeated so many times that I still turn when I hear any child saying those words. Automatically. Strong conditioned reflex. Today, my youngest grandchild is tall enough to go down the big slide…she ran to the measuring stick first thing. At 3 she remembered that from last summer. She’s tall, so she made it! I told her she had to wait for me to be at the bottom to catch her since she can’t swim yet. I forced myself into the icy water…it may be hot out, but the water hasn’t caught up yet…and stood there, waiting. A dad asked me if it wasn’t freezing in there and I told him I would only do this for a grandchild. YIKES! The look on her face as she approached the end of the slide will be etched in my heart forever. She did it!